From a simple screwdriver to modern smart devices, we are all surrounded by tools and technologies. From individuals and entrepreneurs to enterprises, technology empowers people and businesses at all levels. Information and communication technology, in particular, have greatly affected people’s lives in recent years unlike any other technology. It has made possible what was deemed impossible once. Information empowers people and information technology facilitates access to it. In recent years, rise of the internet, smartphones and computing devices has transformed how people connect and collaborate. Rise of information technology is more evident than any other technology because it touches people’s lives. It would be hard for a common person to know how space launch vehicles have advanced over the years in comparison with smartphones, because they do not directly affect his/her. Biometrics is one of such technologies that emerged quietly, grew over the years and crept into our everyday lives without any drum rolls. Maintaining security and isolating threats while keeping passenger convenience in place can be a real challenge at the airports. Large airports can be a chaotic place where several hundred people move every minute. Laying security with traditional methods is impossible at present day airports. It will take overwhelmingly long waiting time to clear security, leaving passengers waiting in queues and spoiling their air travel experience. Biometric security can take this challenge and dramatically reduce time taken is security clearance. It can automatically raise alerts on suspicious identities and help isolate threats from passengers. Quick security clearance help passengers move to boarding area faster, making security checkpoints more efficient and security guards more vigilant with less crowded checkpoints. Biometric security clearance using fingerprints or iris recognition does not let criminals cover their identity. Many airports around the world have already taken up biometrics for laying security, while others are looking at it to replace traditional systems. 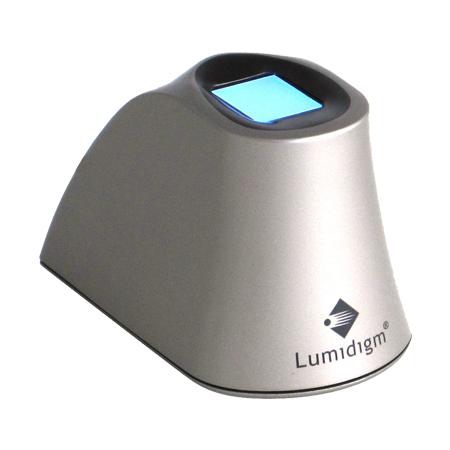 Biometric attendance systems can now be commonly seen in offices and business setups. Many educational or institutional outfits also make use of biometric attendance systems to keep track of employee clock-in/out time. Unlike older employee attendance systems, biometric attendance systems offer a fool proof way of employee attendance that cannot be tricked. They log accurate employee attendance and no other employee can do it for someone else’s behalf. 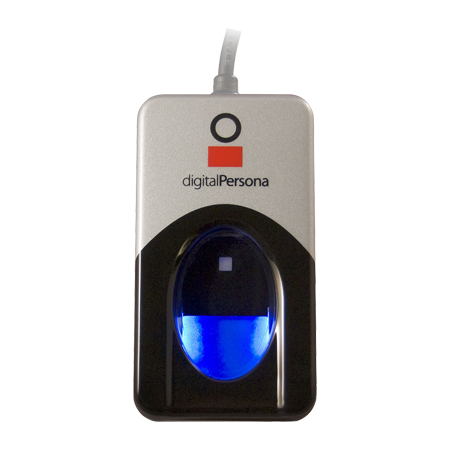 Employee has to be physically present to mark their attendance on a biometric system as it requires fingerprints or iris scan. Buddy punching and timesheet manipulation is a common practice in many organizations, in which a late or absent employee asks a co-worker to clock-in/out on his/her behalf. It can drain company money as the employee has to be paid for hours not worked. It can take a huge toll on overall profit and productivity. A huge amount of money is paid as salaries and wages in the organizations and fraudulent practices like buddy punching and timesheet manipulation can significantly impact the overall business. Biometric attendance systems make sure that employees are paid only for hours worked by eliminating buddy punching and timesheet fraud. With the rise of the internet, most banking and financial services have gone online but this connectivity is now proving to be a double-edged sword. Banks and financial institutes are increasingly getting hit by cybercriminals who try to steal customers’ money by stealing their identity and password. Biometrics not only makes identity theft impossible, it also eliminates passwords for customer and payment authentication. Biometric authentication for banking security makes sure that the customer is physically present at an end point. However, it is not just the online banking that biometrics can secure. Security of physical bank locations is equally important, which can be implemented using biometrics. Fingerprint, palm print or iris recognition systems can be used to secure cash-room or other sensitive area, so that only privileged people can unlock the door. Customer identity can also be authenticated for off-line transaction security at banks. Supremacy of biometrics security over traditional methods makes it the future of banking and financial services. Since biometrics has ability to authenticate online as well as offline customer identity, it can be leveraged at POS terminals for cashless shopping as well. Processing payment at a POS terminal collectively consumes a lot of time due to traditional payment card authentication with PINs or OTPs. Forgotten PINs or delayed OTPs can further result in customer inconvenience and less than perfect shopping experience. Magnetic tape on traditional payment cards can be prone to wear and tear. A payment card with worn out magnetic tape can be denied by POS terminal if it cannot read the data on it. A biometric payment card can address these shortcomings, like the one introduced by mastercards that uses user fingerprints to authenticate payments. Instead of PINs or OTPs or any other way, customer just touches the fingerprint sensor on the payment card to authenticate a payment. Other than fingerprint credit cards, payment authentication by face recognition is also an increasing trend on mobile banking applications. Identification of criminals on the basis of their fingerprints and other unique anatomical patterns has been in use for more than a century in law enforcement. Initially when there was no technological advantage, human skills were the only means to analyse these patterns. Collecting fingerprints and matching them with known subjects was a tedious job. Efforts to automate this process with the help of technology gave birth to biometrics and the process of criminal identification became super-efficient. 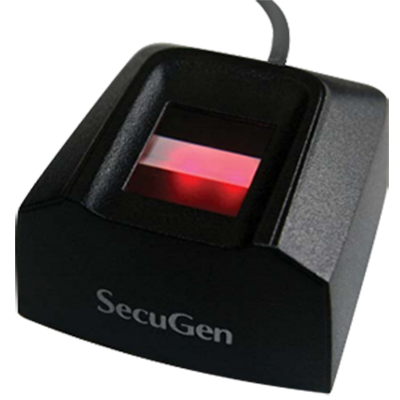 Major law enforcement agencies around the world maintain criminal history with their biometric data. FBI, the USA’s national law enforcement agency, maintains IAFIS (Integrated Automated Fingerprint Identification System), which is claimed to house the largest collection of criminals history as well as fingerprints. Managing financial transactions can be a challenge in today’s digital scenario, in which transactions are performed using multiple modes. Earlier when payments were performed mostly offline, managing them was not much of a task, but now with internet, mobile apps, third party solutions, etc. managing financial transactions has become cumbersome. User biometrics can play a role of unique key to manage financial transactions to bring them under a single biometric umbrella. Biometrics increases user accountability of the transaction performed as it can only be presented by the user, unlike passwords or PINs, which can be shared or guessed and used by others. Mobile biometrics is going to play a pivotal role in future of financial services as most transactions are expected to be performed from mobile devices. Traditionally hotels use keys, magnetic stripe cards, chip or RFID for guest check-in and granting guests access to their rooms. Since hotels are meant for a limited time stay, guests keep changing and different customers handle access cards or keys differently. Losing keys or cards is a very common scenario, in which hotels have to keep extra keys and cards to restore access. This unnecessary tasks occupies space, attention and efforts of hotel employees and often results in a poor experience overall. Biometric access can overcome these inadequacies and provide a keyless / card-less access to hotel rooms once guest biometrics are enrolled at the time of check-in. 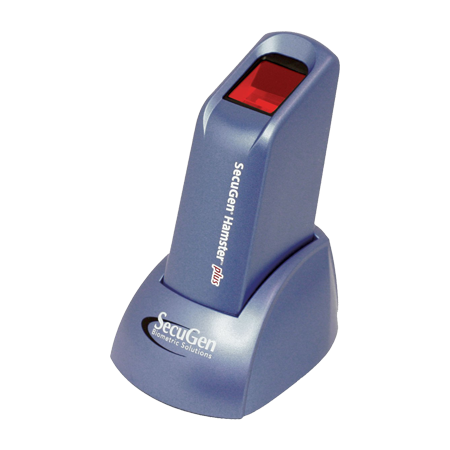 It dramatically improves customer experience and can also eliminate need of keeping extra keys or cards. Internet banking is on the rise and now there exists digital banks that do not have physical branches at all. All services are provided online or via their banking app. Even traditional banks are taking up this new way of banking. Internet banking traditionally uses passwords for user authentication, but with increasing numbers of threats over the internet, passwords are not only riskier to use, they offer a less than perfect user experience. People may use a password for online baking same as their social media or email account, if any of these services is compromised, the user’s online banking account can be swept away by cybercriminals. Biometric authentication can be the weapon we need to encounter threats over the internet. Cybercriminals may crack passwords or PINs, but they cannot imitate user biometrics to illegally access their account with online banking. On the other hand, logging in with biometrics takes no effort at all, improving user experience and saving time. Mobile apps are ubiquitous now. Not only service providers urges user to download their apps, users too want to use apps instead of accessing the service on the internet browser. Apps provide much better experience as it has pre-installed design and other static elements, while dynamic content is loaded from the internet when a user runs the app. This provides faster and better experience than browser based applications as a lot of content is pre-loaded locally. These apps mostly use the same authentication methods as used on its browser counterpart, however, that seems to be changing now. As manufacturers are releasing more and more devices with biometrics like fingerprint and face recognition, online service providers are looking at it to improve authentication experience with it. Passwords on biometrically enabled mobile phones become irrelevant as it already has required hardware/software to replace them with biometrics. Many service providers have already integrated their apps to leverage biometric hardware/software on mobile devices. While manufactures are trying to add biometric ability to more and more devices, PCs seem to be left out. Unlike present day smartphones, not all the PCs come with inbuilt biometric hardware or software. However it does not limit PCs ability to install external biometric hardware. To enable fingerprinting to logging on to a PC, an external fingerprint scanner can be setup. Setting up an external fingerprint scanner on PCs is as easy as using it. Latest versions of popular operating systems like Microsoft Windows and Apple’s Mac OS come with inbuilt ability of processing and storing biometric data. Using biometric login on PCs not only save them from password related shortcomings but also enhances user experience and security. Pharmacies can be under potential risk of fraud and theft. There have been many incidents of pharmacy frauds in which pharmacists used fake identities to commit frauds, for example a pharmacist was caught in Gloucestershire, England for obtaining controlled drugs under false names and altered prescriptions. Fraudulent activities like false claims to insurers, use of fake identities and prescription to obtain controlled drugs, off-label marketing, etc. can cost money and even lives of people. Use of biometrics in pharmacy can eliminate the theft and fraud committed with fake identities. Since fraudsters cannot fake biometric identities to make false insurance claims or obtain controlled drugs, it becomes impossible to commit frauds. Visitor window at a theme park can be a busy place. Managing high volumes of incoming visitors with traditional visitor management methods can be a burdensome task in a theme park. Fortunately, biometrics offers a viable solution for a theme park visitor management system. A visitor management system with fingerprint recognition can overcome the challenges and enables you to process a large number of visitors in amusement and theme parks. After one time enrolment, visitors just have to present their biometrics to the scanner in subsequent visits, enabling them to skip lines. Theme parks are increasingly upgrading their visitor management system with biometrics like fingerprint. Theme parks like Poway Skate Park in Poway, CA and Six Flags, have already implemented fingerprint based visitor management systems. Automobile manufactures have always tried to implement vehicle security with best possible ways that justify with convenience. Muggers, however, have been a step ahead to breach the vehicle security implemented with keys, immobilizers, RF, etc. Now automobile manufacturers are looking at biometrics to safeguard vehicles so that no other than the authorize driver can unlock and access the vehicle. Continental demonstrated Biometric Advanced Access for vehicle security in CES 2017 that leverages facial and fingerprint recognition for security as well as loading driver’s personal vehicle setting profile. Ford has already been granted a patent for keyless biometric entry in cars. Biometric technology is quietly taking over space wherever user identification and authentication is a requirement. Traditional recognition methods have lost grounds to biometrics, due to their shortcomings. Biometrics offer an ideal balance of security and convenience. Unlike traditional authentication methods, it elevates security but not at the cost of user convenience. Biometrics is the single solution that offers logical as well as physical security. It can not only replace passwords on computers, but also the door lock it is kept in. With biometrics creeping into everyday life, the day is not far it will entirely eliminate other ways of identification and authentication.